Slow marketing: fact or fad? Consumption and business models rely heavily on speed now. In order to remain relevant, businesses have to be agile, consumers alert. Products are in constant evolution, consumer’s attention-span in constant decline. Pictures instantly appear and disappear on Snapchat. Hotel deals only last 24 hours. iPhones are obsolete after a year. The “slow” movement is a reaction to the dictat of speed and disposability of everything and everyone, and you are now likely to hear about “slow marketing”. What is it, what does it mean, and is it around to stay? Slow marketing goes by the principles of the slow movement. Like in the “Tortoise and the hare”, the slow movement advocates the supremacy of doing things slowly and its benefits over the long term. Ever heard of slow food, slow fashion, slow cities? They are part of a global cultural shift to slow down life’s pace. Slow marketing follows the same principles of mindfulness, meaningfulness and long-term orientation in marketing practice. Don’t disturb the consumers with unwanted content: use pull strategies. “Slow marketing is not about retreating into old models or simply advocating a digital switch-off, but, instead, respecting the value of consumers’ time”. So, is slow marketing here to stay? Although the word might be relatively new, and the idea of slow starting to gain traction in all areas of life, I don’t think that slow marketing is new: it’s just a fancy tag we placed on something people have been doing for ages (hey, that’s what we do, right?). To me, it’s about marketing with ethics, with respect for your consumers and society at large. It’s then reflected in the way you communicate, advertise and engage your audience. I think the concept is getting more attention now because it acts in contrast to the ever faster pace of the consumption environment, but it is definitely not a fad. Author laurencedessartPosted on August 3, 2015 August 6, 2015 Categories Marketing PracticeTags communication, engagement, ethics, marketing, relationships, slow, value5 Comments on Slow marketing: fact or fad? I love my marketing. Branding, products, advertising..Love it. However, it is also important to keep a critical look at it, and more generally, at market mechanisms. Market ethics are a big issue and it is every manager’s duty to keep in mind the ethical considerations of their actions. Sometimes, they seem to completely loose track of it. So get ready for a very left-wing, philosophical, one the verge of “naïve idealistic” post, which hopefully won’t be perceived as such, but rather as critical and reflexive. A few days ago, I got really excited as I unpacked a book I had pre-ordered a few months ago (thank you Amazon!). The book is called “What money can’t buy”, by Michael J. Sandel. In a mix of light and serious tone, Sandel explains how our market economy has progressively become a market society. This means that money and market logics are infiltrating spheres of life where they do not originally belong. The book gives a few appalling examples. Schools paying kids to read books ($2). Lobbyists paying line-standing companies to hold a place for a congressional hearing on Capitol Hill ($15-20/hour). Doctors selling their mobile number to be available around the clock for wealthy customers (from $1,500/year). Charities paying drug-addict women to get sterilized ($300) – sense the irony. These are just a few examples. Can everything be commodified? It would be too easy to provide a one-fits-all answer. Things are not black or white, and such examples can lead to very long and heated arguments, depending on each stakeholder’s point of view and moral standpoint. My point is that, although creative revenue generation models and business initiative should definitely be supported, not everything can fall under a market logic; not everything can be up for sale, and it should be decided on a case by case basis. Consider the schools paying pupils to read books. What mindset does that put kids in with regard to learning? And what value does it give to literature? Will these children consider that they must be paid to read course material when they go to college later on? (that certainly sounds appealing)! Are they ever going to support the book industry once they grow older, if instead they got used to think that they should get paid to read? Here is a another example of the expansion of market logic. Product placement in movies. This is nothing new: James Bond movies are the perfect example, with a plethora of brands such BMW, Pan Am, Rolex, Omega, Heineken, …you name it. 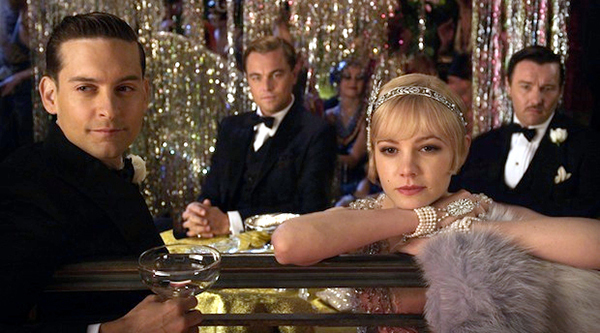 More recently, The Great Gatsby was seen partnering with luxury brands such as Prada, Miu Miu, Moët & Chandon or Tiffany’s. The product placement industry is up to $8.3 billion in 2013 (11% increase from 2011) and brands are now even investing in movies, sometimes financing up to 25% of attractive movie projects with a luxury angle. Surely this benefits a lot to the movie makers and luxury companies alike, while making the final film production extremely aesthetically pleasing…so what’s the problem? Isn’t art commoditized anyway? Who cares about having to see a bottle of Coke, Martini or pieces of jewelry if the end product is nice? I leave this thinking up to you… hoping to have stirred a bit your consumer’s critical point of view on what you want and how you want to buy things.